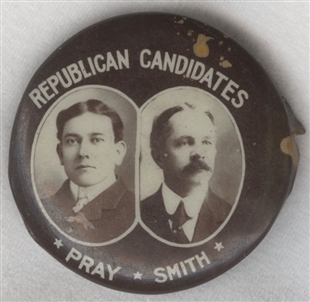 This two-toned button was distributed during banker and shoemaker Aaron Kreider’s first campaign in 1912. 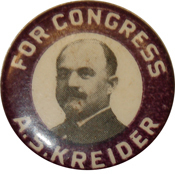 Kreider won election and remained president of the National Association of Shoe Manufacturers during his first congressional term. 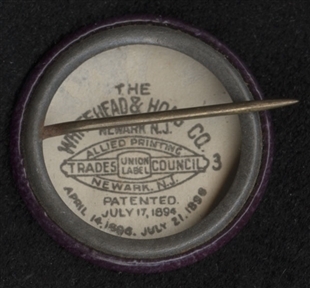 From Later in his House service he served as Chairman for the Committee on Expenditures in the Department of the Interior. 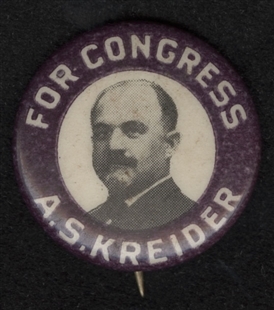 After a decade in office, Kreider was defeated for re-election in 1922 and returned to shodding the public.